It’s definitely not the most exciting part of starting a business. In fact, if you’re like a lot of entrepreneurs, you’re probably going to find yourself pulling a few all-nighters to get one done before heading into your first pitch for funding. Because that’s the thing — your business plan is a pretty important. Any funder worth his or her salt wants to see it right off the bat. Moreover though, a solid business plan is a living document that will continue to guide your efforts as your business grows. Recently, I shared 18 Mistakes That Kill Startups, an infographic created by Mark Vital over at Funders and Founders. A lot of those mistakes (most of them, in fact) are the result of poor planning. Bad location, a marginal niche, having no specific user in mind, raising too much or too little money — all of these issues can be prevented or at least mitigated with good planning. Creating your business plan is more than just getting your ideas down on paper for potential funders to see. It’s an exploratory process in which you can evaluate your options, test your assumptions about your idea, and even discover new opportunities. It might even lead you to kill off aspects of your business before investing too much time or money in them. Score is an American nonprofit dedicated to helping entrepreneurs get their companies off the ground. Its template, available as a PDF or Word download, asks a whopping 150 questions and is generic enough to customize for most types of businesses. The Refining the Plan resource that comes with it is helpful, especially if this is your first crack at writing a business plan. The SBA’s template is available to fill out online and then download as a PDF. You can go back in and edit it as needed, so don’t worry about having everything ready the first time you sit down to tackle it. Even broken into sections, it’s a long document and a bit of a slog to get through, but it produces a professional-looking and useful business plan. This is particularly helpful if your idea isn’t fully fleshed out and you know you have homework to do — it prompts you for information. 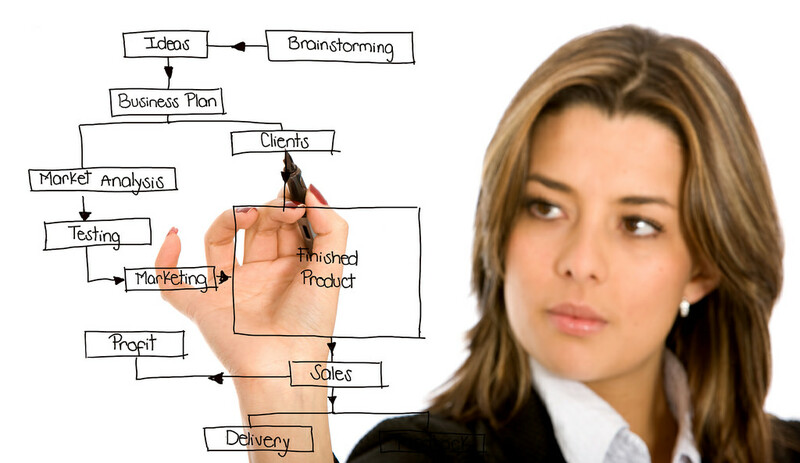 Who said a business plan has to be a long, complicated document? Some funders are going to want to see a lot of detail, but you can provide that in appendices. The $100 Startup, the website for the best-selling book of the same name, has a ton of stripped-down resources for entrepreneurs, including this super simplified business plan template. This one says you just have to answer a few simple questions and will be “done before you know it!” Don’t believe it. A business plan should take time and a lot of homework, but if you’ve already done that, LawDepot’s template is a decent choice. It walks you through getting started, marketing, product, competitive analysis, SWOT, and more, with a window below the input fields to show you the plan as you work away at it. You can download it free with a trial subscription, but you’ll have to remember to cancel it within the week if you don’t plan to continue using it. The SME Toolkit, jointly offered by IFC and IBM, offers a simple two-page outline of what should be included in your business plan to meet the minimum requirements of funders and tax authorities (in the U.S.). It contains 10 broad sections, including market analysis, management and organization, etc., with a one-paragraph explanation of each. A second download on the same page is an Excel file to help with your financial projections. Of course, Microsoft offers a ton of business plan templates for Office users (you can get birthday invitations while you’re at it). If you’d rather do a business plan presentation than a Word doc, you can download one of Microsoft Office’s half a dozen or so PowerPoint templates for just that purpose. You’ll want to customize it with your company branding (you have your branding down, right? ), but it’s easier than starting from a blank PPT. Global financial services firm vFinance offers a basic, 30-page business plan template to download from its website — one the company says has been downloaded more than a quarter of a million times. No, it won’t be completely unique, but vFinance knows what it’s doing and the template is pretty comprehensive. VFinance is the creator of the massive Venture Capital Directory and has tailored the plan to appeal to funders. If that’s your goal, definitely check this one out. U.K. online invoicing software brand Invoiceberry offers free business plan templates in .docx, .odt, .xlsx, and .pptx formats. Each one also contains a marketing plan and executive summary template. There’s a catch, though — the company asks you to take one of the following three actions before you can download the template: like it on Facebook, give it a +1 on Google+, or give it your email address. If you don’t mind doing that, it’s a good deal. Kudos to Invoiceberry for figuring out this effective lead-gen tactic too! Santa Clara U’s MOBI is an initiative of its Center for Entrepreneurship and Innovation at the Leavey School of Business. On the site, you can download each of the 15 business plan sections individually as Word documents, or grab all 15 together in one doc. There’s a ton of other helpful resources as well, including guidelines for evaluating your potential sites, a list of key people to review your plan, and sample financial sheets. Like some of the others, you fill out RocketLawyer’s form and download the business plan when you’re done — but its template allows you to choose your state before getting started. These plans are tailored to meet your financing requirements in your state, which is a huge bonus for those seeking funding through banks. It’s also heavily geared toward financing, making it a good choice if that’s a priority for you. Help us to brighten someone else's day by sharing this article "Oline Business Plan Free template" with your loved ones and telling us your opinion in the comments below. 0 Response to "Online Business Plan Free Templates"